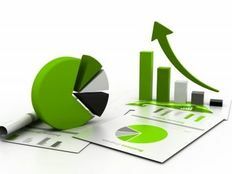 Most investors know that the two basic components of any diversified portfolio includes stocks and bonds. But there’s a significant knowledge gap between the two types of investments for the everyday trader. Stocks are far more popular with myriad platforms available for trading and learning, while bonds seem to get relegated to the sidelines, almost as an afterthought. As such, when it comes to adding bond exposure to their portfolio, investors are often unable to differentiate between the benefits and risks of using bonds or bond funds. Although both involve bonds, the similarities end there. Unlike stocks and stock mutual funds, bond and bond funds are completely different animals. Depending on the needs of an investment portfolio and the time an investor has to dedicate to it, either choice could be best. 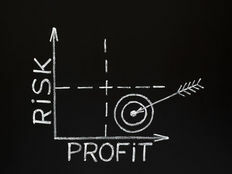 Blindly adding an investment to a portfolio just because it fulfills the conservative bond requirement is a quick path to higher risks and larger-than-expected volatility and/or losses. They both behave very differently to interest rate changes and respond differently to market conditions so understanding the details of both will help investors make an informed decision about which one to invest in. Bonds are debt securities issued by corporations or governments that typically come with semi-annual yield payments and a final maturation date in which the full face value of the bond is paid back, assuming the issuer doesn’t default on the loan. Bonds are given credit ratings as well which determines the yield and helps investors gauge the risk associated with the bond. Diversification is much harder to accomplish with direct bond investing and requires a large pool of capital in order to stagger bond duration and credit types in order to be successful. Bonds are suitable only for sophisticated investors or professionals who are knowledgeable about bond markets and not for the everyday investor. Bond maturity dates can range from one month to 30 years and react differently to changes in interest rates. Longer maturity bonds tend to react more strongly to interest rate changes making them more volatile than shorter duration bonds. However, if an investor holds a bond from issue until maturity, then changes in rates won’t affect your portfolio. The only time it will make a difference is if the bond is sold before it actually matures. Bonds can be bought through brokerage accounts or through treasurydirect.gov in the case of Treasury securities. Corporate bonds usually come with a face value of around $10,000, while Treasuries start at around $1,000. Investors should have a working knowledge of bond pricing mechanisms along with interest rates before directly investing, making them appropriate only for more sophisticated investors. Bond values are inversely correlated with yields and stock prices. In other words, when stocks fall, bond values usually rise and vice versa. A bond may trade at a discount or a premium to its par value as well, which in turn affects the actual yield the bond pays out. For example, let’s assume a bond with a par value of $10,000 and a 5% yield is trading at $9,500. That means the effective rate being paid is 5.26% but is worth $500 less from its issue price. Bond funds are arguably the most common medium used by investors to gain exposure to bond assets. Fixed income funds designed to mitigate portfolio risk from risky high-yield debt securities are considered conservative investments. Bond funds stagger a bond portfolio to give different maturity dates in order to ensure investors consistent income payments. When one bond matures, the fund manager replaces it with another to keep the bond ladder running smoothly. Other events can also trigger replacing a bond such as a reduction in the bonds credit rating or when the bond issuer pays off the bond before the intended maturity date. Bond funds generally pay a monthly dividend that can be reinvested or cashed out unlike direct bond investing. However, because investors technically own mutual fund shares and not the bonds themselves, there’s no maturity date in which an investor can reach the par, or face value, of the bond. Many investors prefer bond funds because of the relative ease of investing. Typically it only takes a small monthly investment of around $50 or a lump sum of around $1,000 in order to get started. It also comes with a diverse bond portfolio with varying maturity dates and bond durations so investors don’t need to figure out maturity timing on their own. Unlike individual bonds, bond funds are designed for the everyday investor and don’t require sophisticated knowledge. Learn more by checking out our Beginner’s Guide to Bond Mutual Funds. You can also explore the different characteristics of bond funds here. Both bonds and bond funds have a role in any diversified investment portfolio. They help mitigate risks associated with equities and can provide a steady income stream for retirement portfolios. 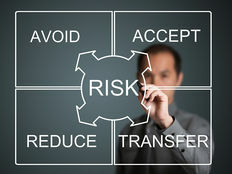 Each type has its own risks and benefits that need to be carefully considered before investing. Bond funds require less advanced knowledge but come with expense ratios that average around 0.972% according to Morningstar. Considering that bond funds typically don’t put up double-digit returns on a regular basis, that expense ratio can be a significant dampener on your overall portfolio returns. Investing directly in bonds means not having to pay an expense ratio, but comes with greater risks associated with changes in interest rates. Investors need to be comfortable with understanding the relationship between rates and bond values in order to be successful bond investors. Liquidity is also an important consideration. Bond funds are far more liquid than bonds themselves as the former can be sold once per day. Bonds, however, could be much harder to sell before their maturity date and the possibility of loss is far greater. Before making a final decision, investors should weigh out the pros and cons of bonds versus bond funds and determine which one best suits their needs. Don’t forget to sign up for our free newsletter and get the latest news on mutual funds and other investment opportunities.